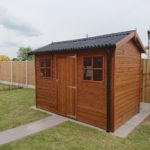 Tunstall Garden Buildings design and construct the nation’s highest quality Garden Sheds. All of our garden buildings are handmade to order at our main manufacturing and show site in Staffordshire. 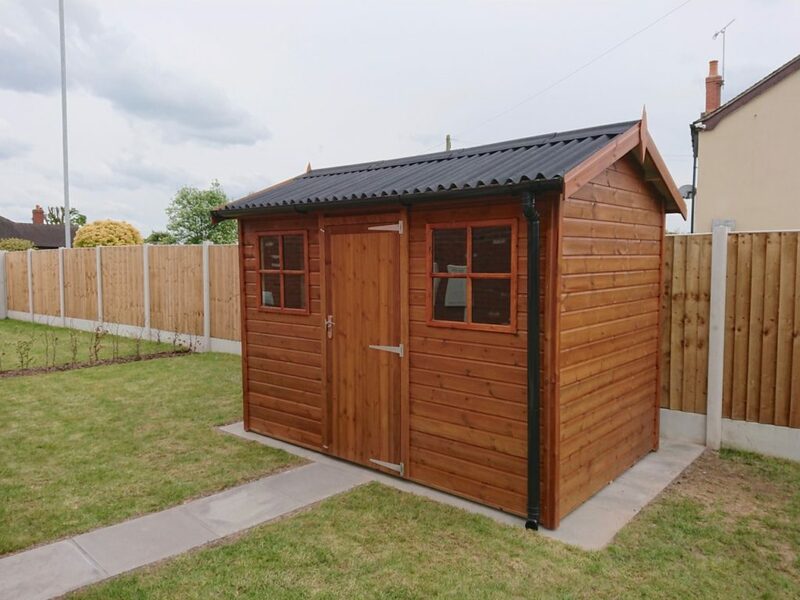 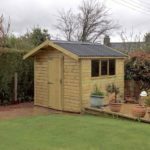 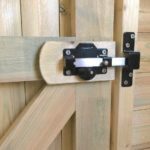 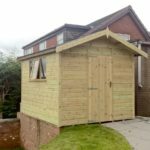 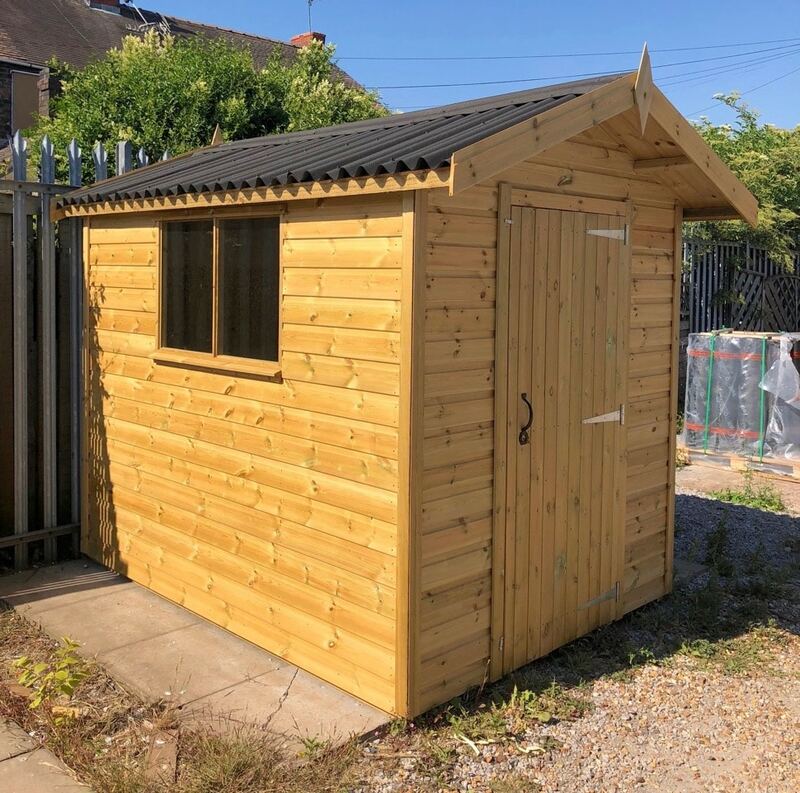 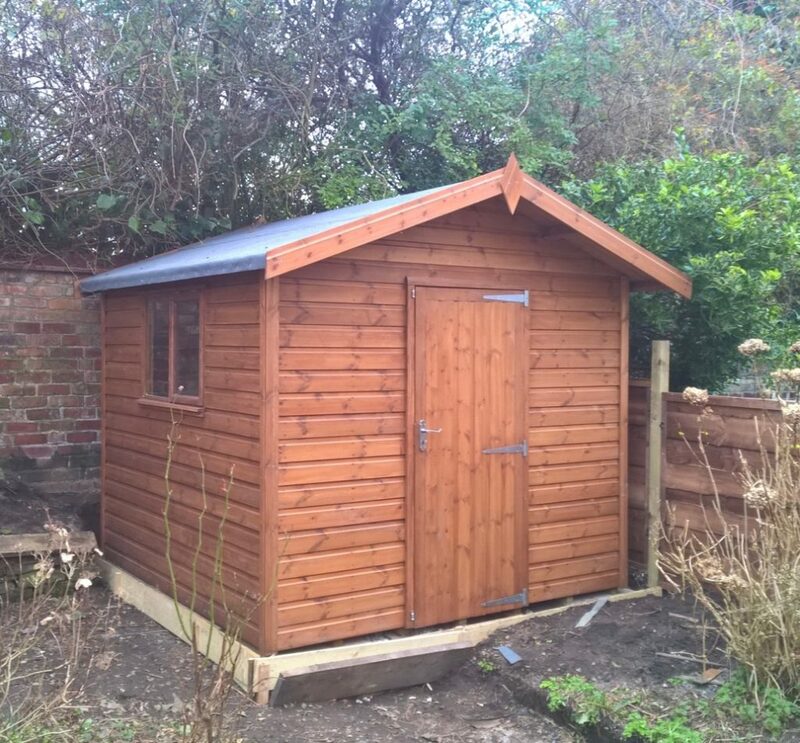 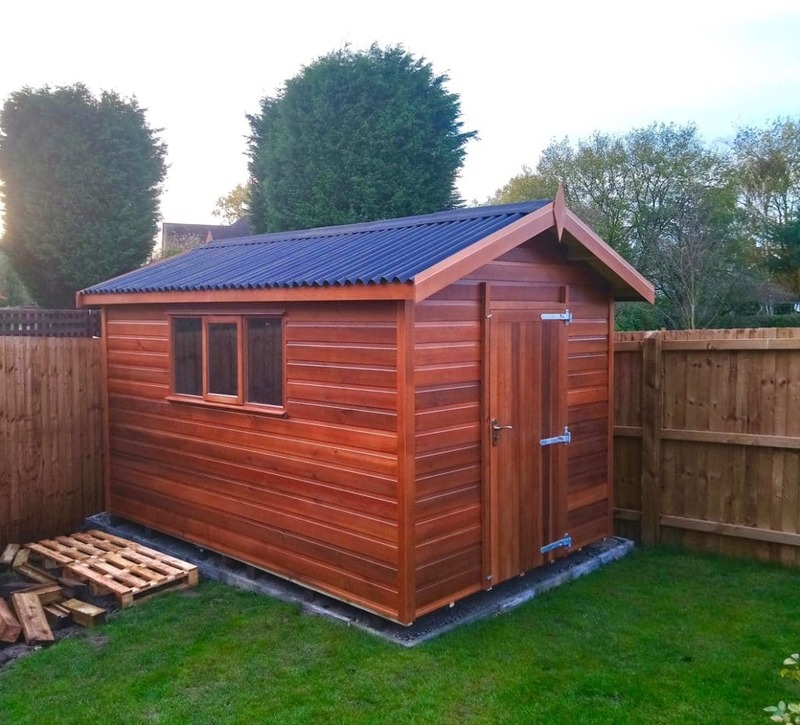 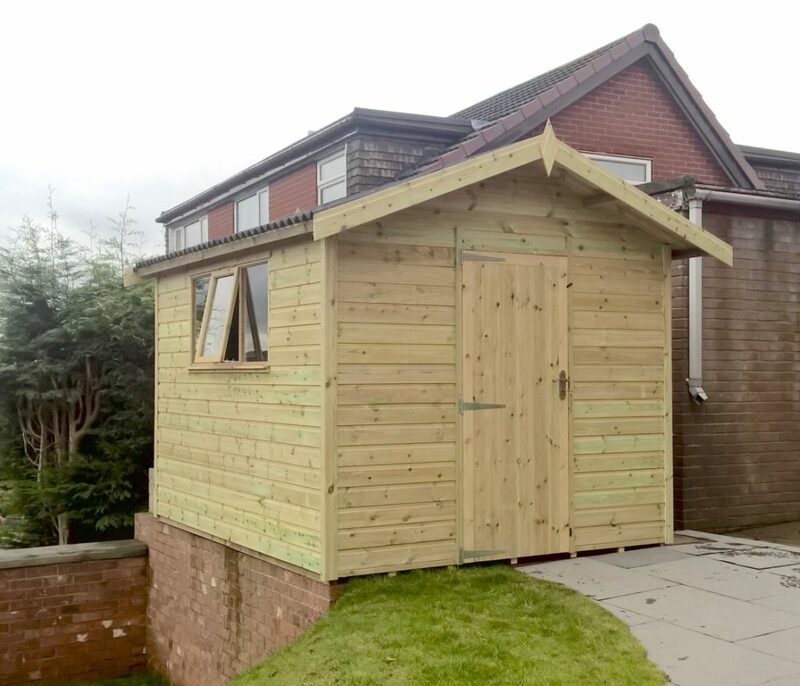 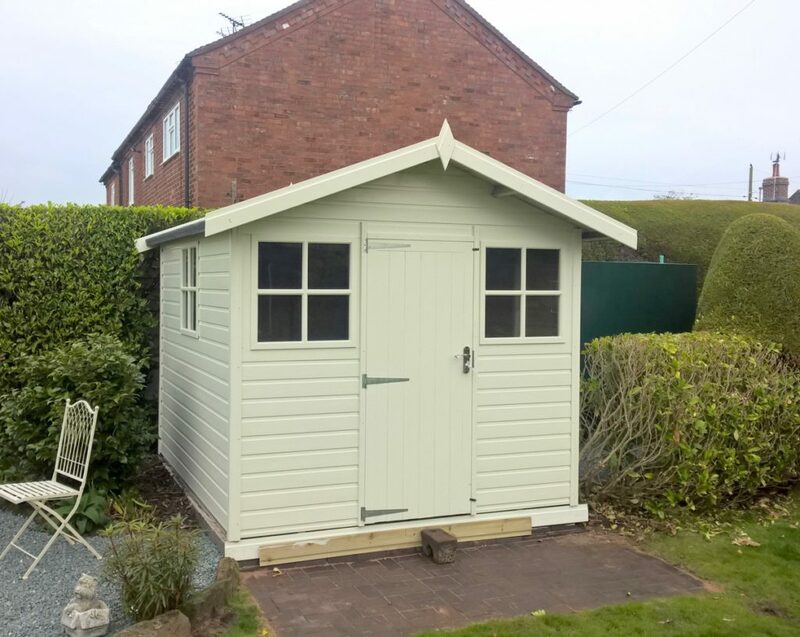 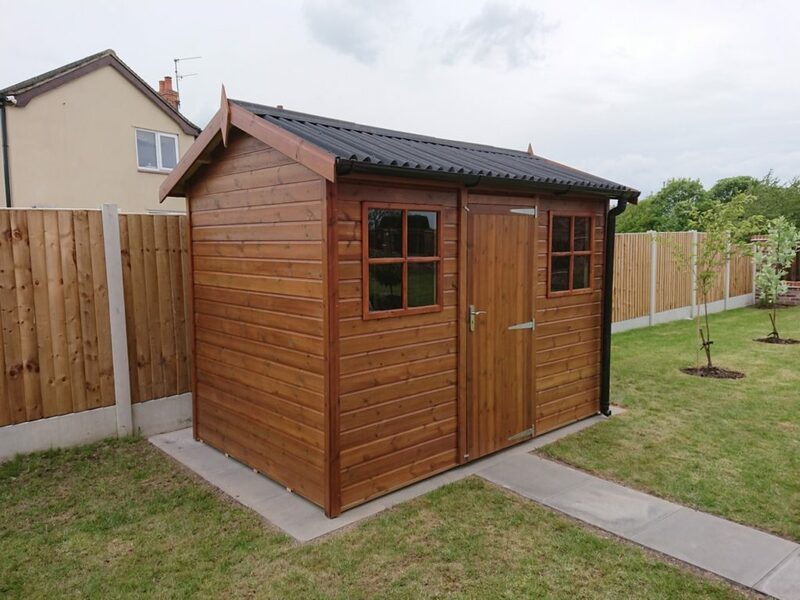 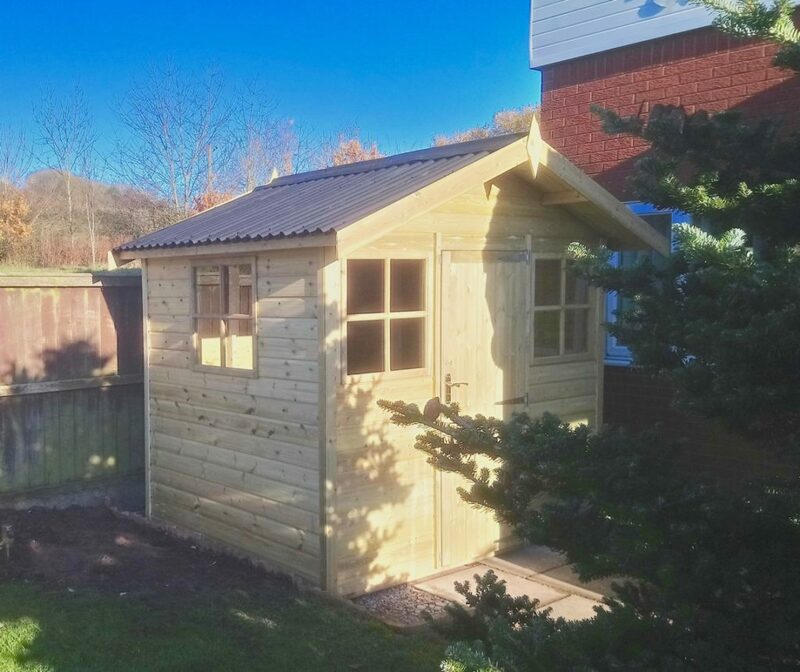 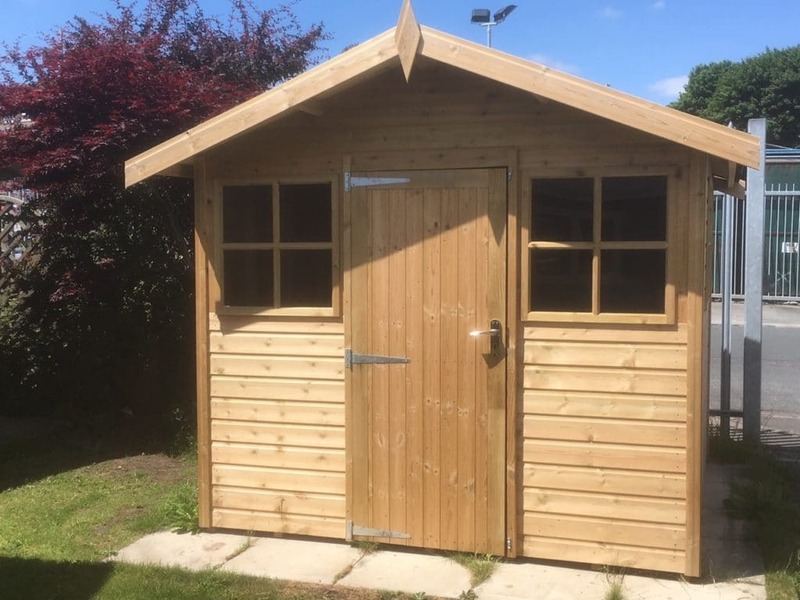 Our Hobby Garden Sheds are manufactured from Scandinavian Redwood Tanalised timber which is guaranteed for 15 years against rot and insect infestation. 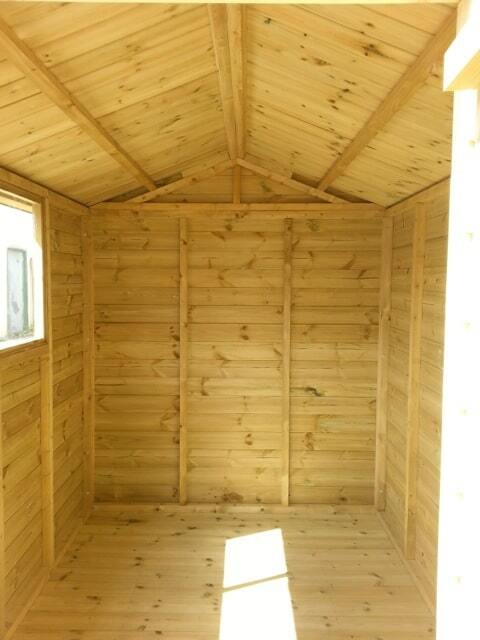 (T&G shiplap ex 19mm (16mm finished thickness). 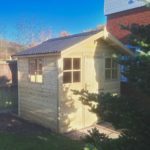 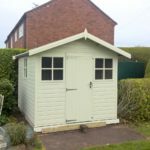 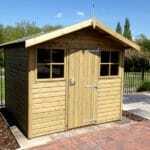 Our Hobby Garden Sheds come in array of sizes and styles, from apex to pent style sheds, to Heavy Duty Workshops. 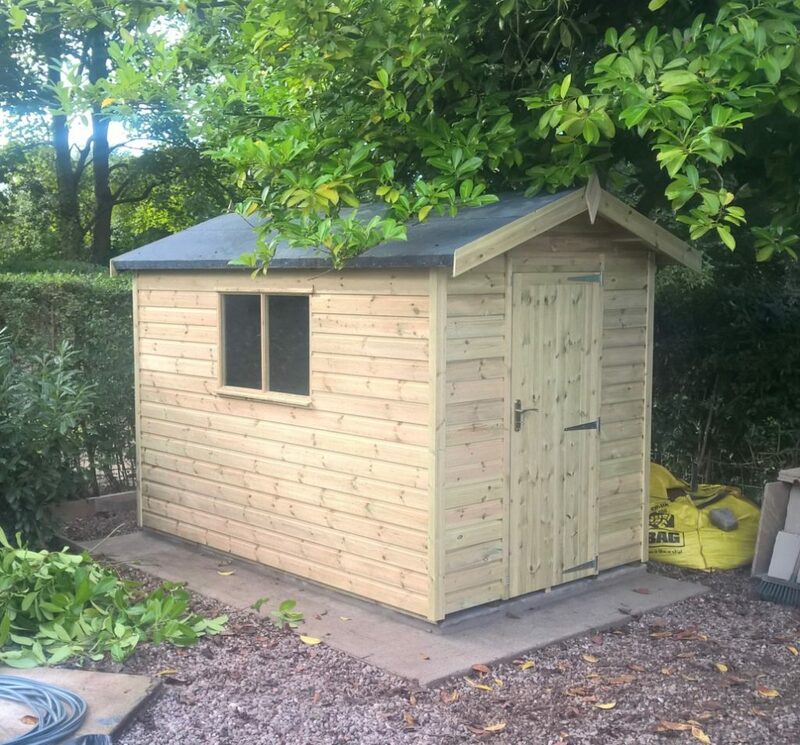 Further information on our Timber Workshops can be found here. 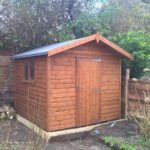 We offer installation free of charge as standard with our Garden Sheds. 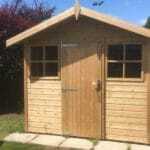 Please click here for our delivery costs. 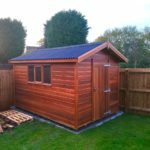 Cladding Our Garden Sheds are manufactured with Tanalised 16mm thick shiplap T&G cladding. 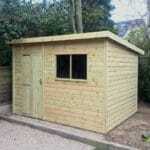 Framing Heavy Duty 3” x 2” thick Tanalised framing as standard. 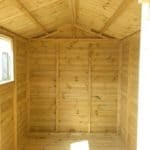 Framing is the backbone of the building and provides the strength/structural integrity. 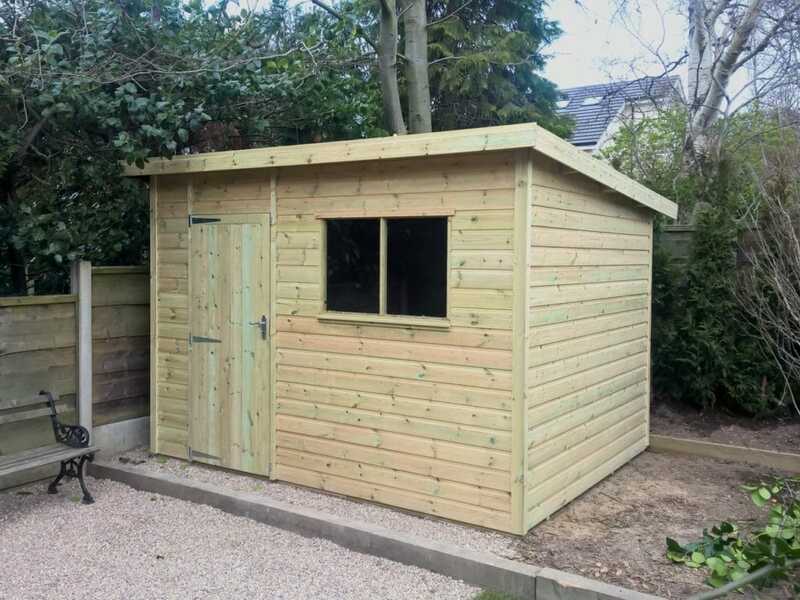 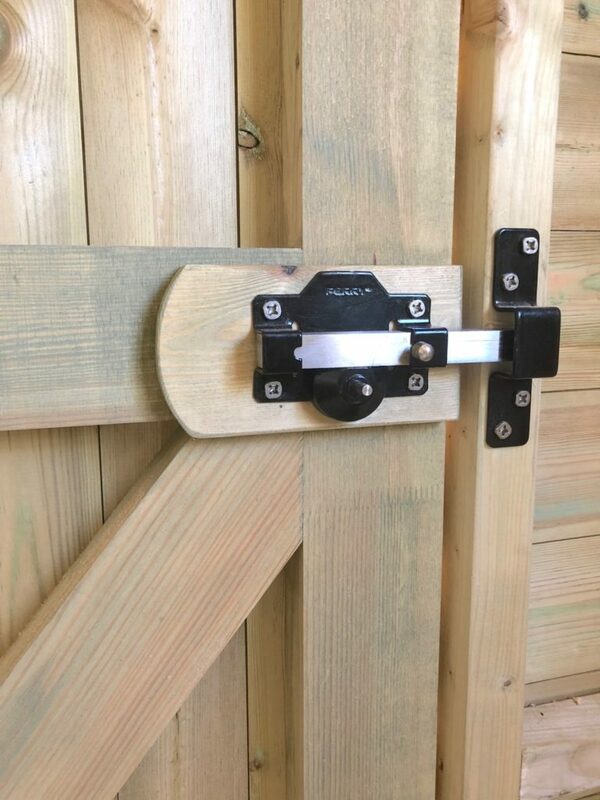 Floor Our Garden Sheds come with 13mm thick tanalised tongue and groove floor including 2” x 2” Tanalised bearers, providing maximum support and also allowing air flow. Roof Black onduline roofing sheets on 13mm tanalised tongue & groove boards with a generous 1ft overhang to the front of the building. 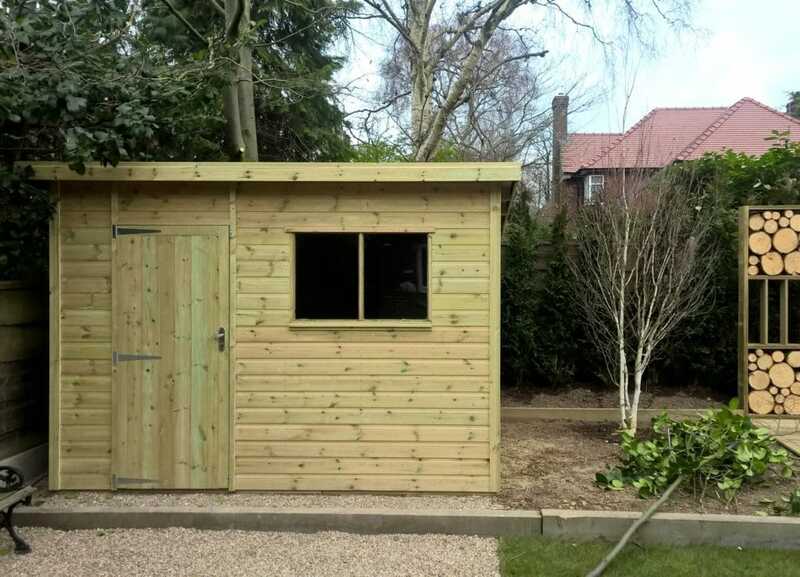 Door 30” wide x 5’10” high joinery made single door installed with a heavy duty long throw lock. 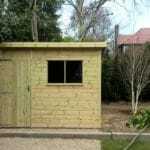 Windows 3x 4 pane georgian style fixed windows including toughened glass as standard. 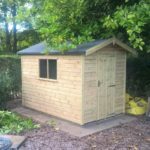 By providing us with your email address, we can email your personalised quotation to you and respond to any queries you may have. 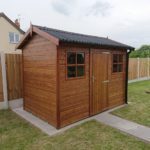 Please add any comments or message to us. 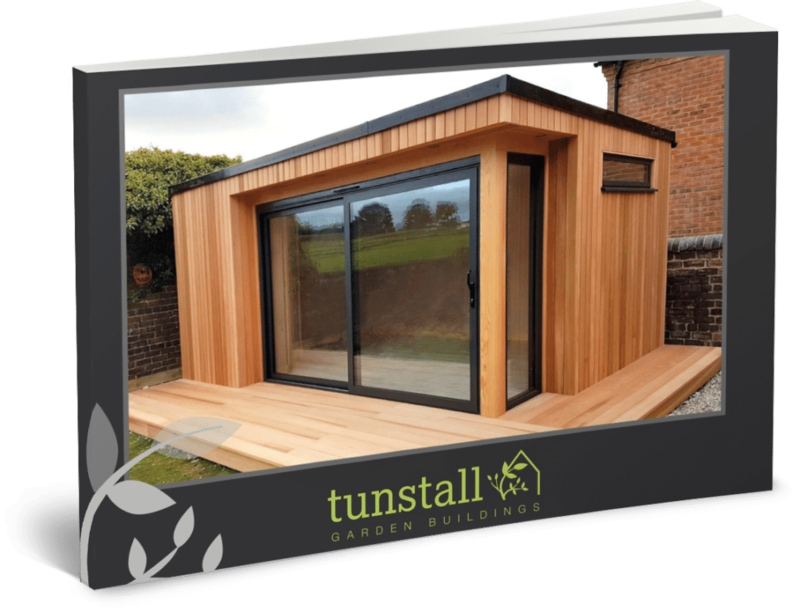 Enter your details below to download our brochure or request a copy in the post.